This Olive Cheeseball is insanely good! It is absolutely perfect for bringing to parties and having at get togethers! 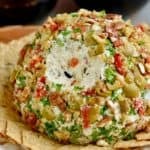 This cheeseball recipe with cream cheese has the delicious flavors of olives, mozzarella, parmesan, garlic, and a little kick of spice. 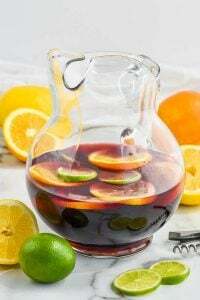 It is easy to throw together so it will be perfect for bringing to a cocktail party or if you are hosting one. It would be amazing with this whisky and wine cocktail. Serve it alongside this chocolate covered strawberry baked brie for a nice sweet and savory contrast. If you are looking for other great cheeseballs be sure to check out this Crab Dip Cheeseball and this Buffalo Bacon Cheeseball! 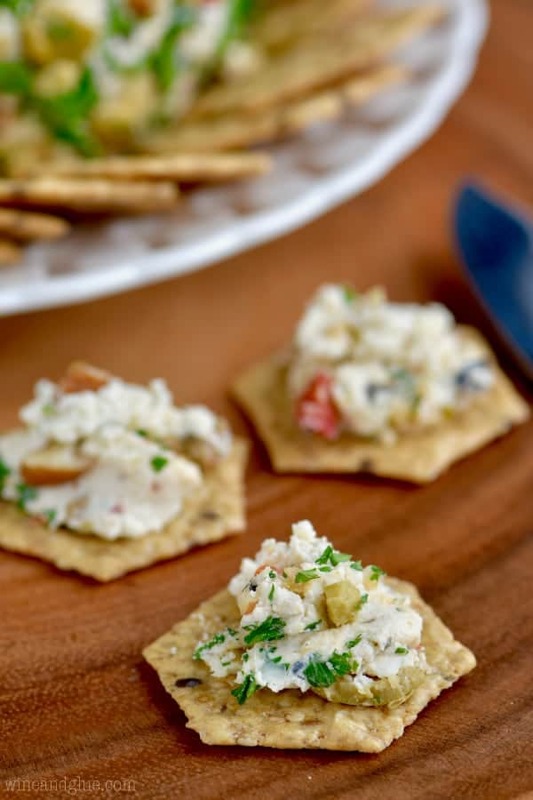 I am so happy to be working with Crunchmaster® crackers to bring you this delicious and easy holiday appetizer! Thank you for supporting the brands that make Wine & Glue possible! You guys, I am so happy that the holiday season is here! 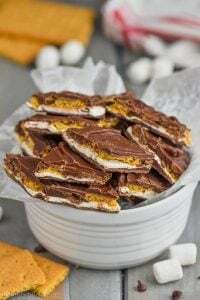 As many of you know, I love creating recipes that are perfect for easy entertaining, and that is especially fun to do for you around the holidays because everything is so festive and merry. Guys, I just want to put tinsel on everything this minute. 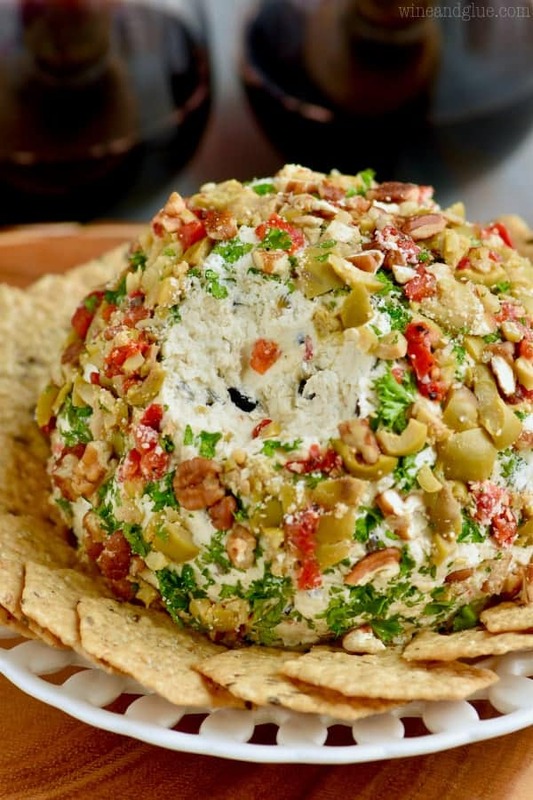 So this Olive Cheeseball is perfect for serving at a holiday cocktail party! 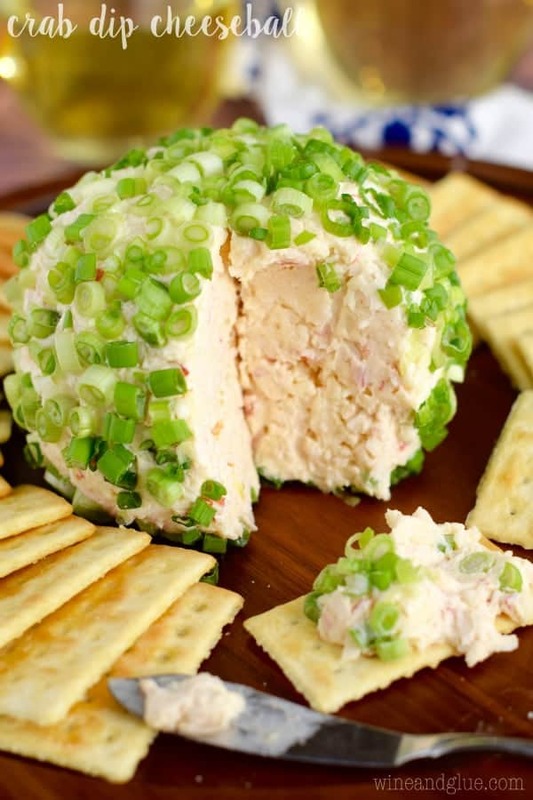 It is a classic cheeseball recipe that took a little detour down the olive aisle of the grocery store and we should all be so happy that it did, because YUMMY! 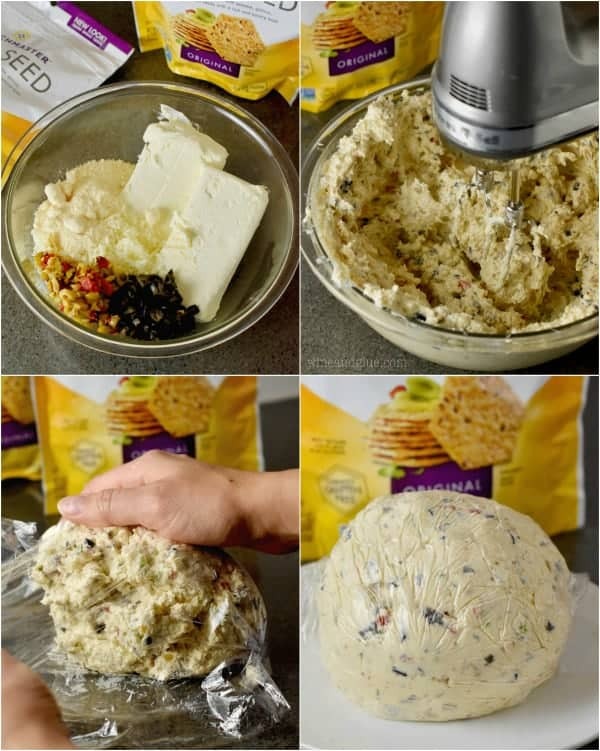 Making a cheeseball is super easy! They turn out so pretty though it’s easy to be intimated by them, but no need! HOW DO YOU MAKE A CHEESEBALL? Start with room temperature cream cheese and a flavor profile that sounds delicious. Mix in about a cup and a half of other cheeses. In this case we mix in some mozzarella and some parmesan. Mix in some seasonings. Here we did some garlic salt, Worcestershire sauce, and some crushed red pepper flakes. Mix it all together with a hand mixer. Taste it and adjust the seasonings if needed. Decide what you want to coat it with. 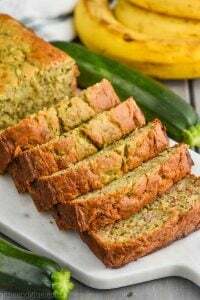 With ingredients like fresh parsley, you are going to want to wait to coat it until it full sets. If you are using only nuts, coat it right away. Using cling wrap, form it into a ball. Leave it completely wrapped and let it set for 8 hours. The following day, coat it. I liked using olives here so people know the flavor right away. Then some pecans for crunch, some parsley for color, and some parmesan for a little extra texture. If you are using parmesan, add that to the outside last, as it will make it hard for other things to stick. Once it is finished, you are going to want to serve it with Crunchmaster crackers. They deliver the perfect combination of crunchy goodness and savory taste in a better-for-you bite. They are gluten free, which makes them perfect to serve at the holidays to accommodate all of your guests, but even your gluten loving friends are going to fall in love with these crackers. 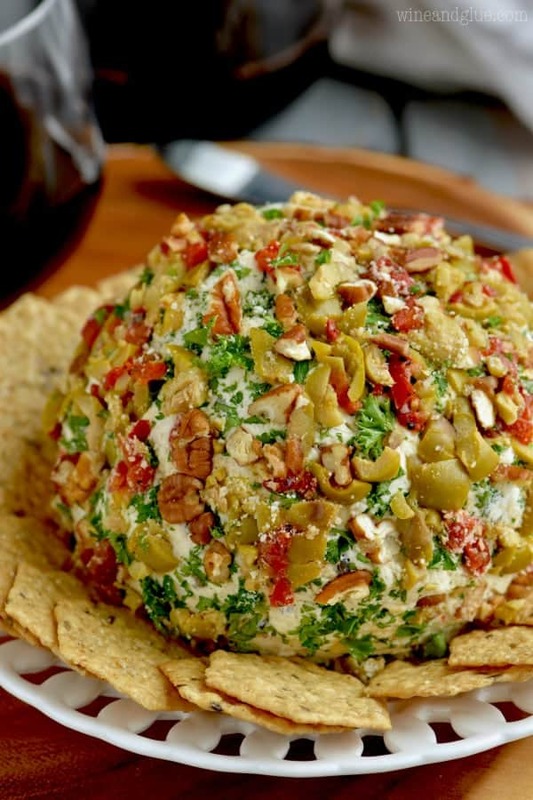 They hold up to this hefty cheese ball perfectly, and their flavor is amazing. They are great with this Olive Cheeseball, but they are also amazing on their own. 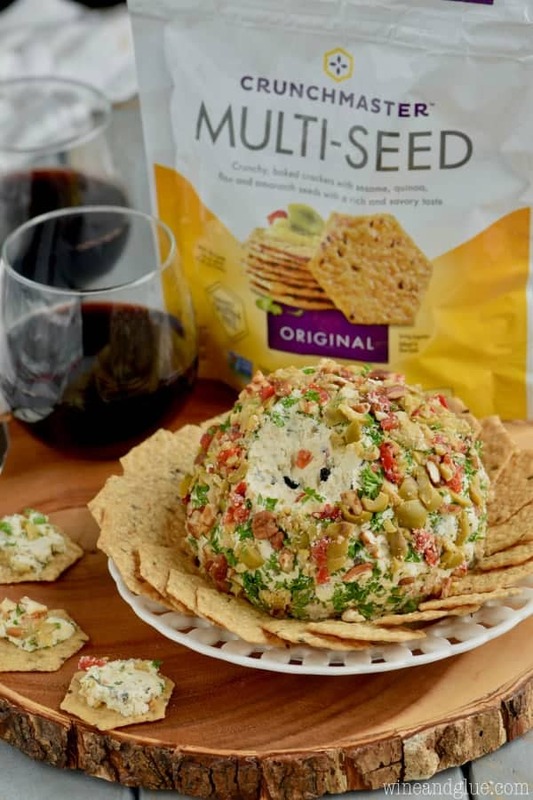 If you are looking for other great cheeseballs to serve with Crunchmaster crackers, make sure you check out this Spinach Artichoke Cheeseball, it’s my favorite flavor combination! 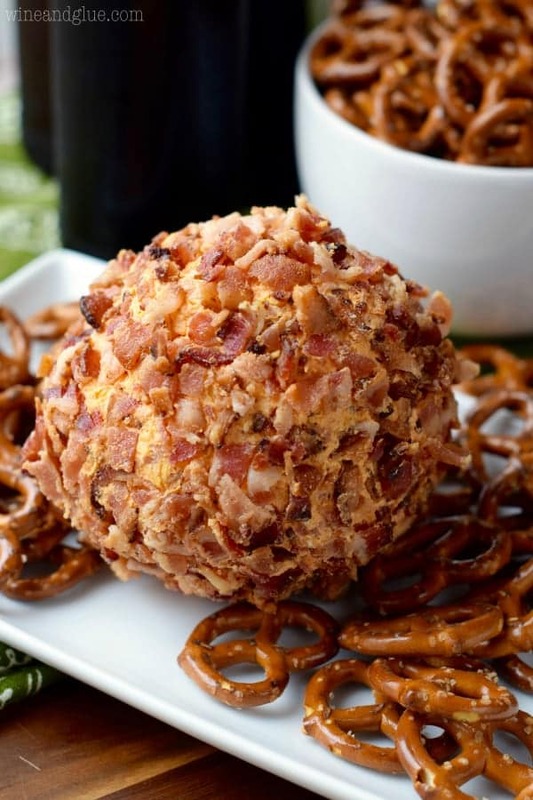 This Bacon Ranch Pecan Cheeseball would be great on your holiday table. And I wouldn’t be able to resist this Roasted Garlic Asiago Cheeseball! This Olive Cheeseball is insanely good! It is absolutely perfect for bringing to parties and having at get togethers! This cheeseball recipe with cream cheese has the delicious flavors of olives, mozzarella, parmesan, garlic, and a little kick of spice. In a large bowl mix together the ingredients for the cheeseball, add the red pepper flakes last and deciding how much you want to add after tasting it. Spread out a large piece of saran wrap. 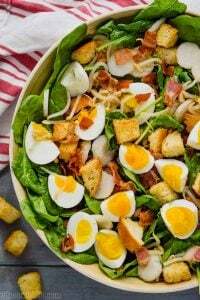 Place the mixture into the middle of it and and then using the saran wrap form it into a ball. Chill for 8 hours. Before serving, remove the saran wrap then coat the cheeseball with the olives, parsley, and pecans. Finally coat it with the parmesan. Omg love this cheeseball and also love Crunchmaster crackers. Perfect combo!